Is Splitting Punjab a solution to the provincial imbalance in Pakistan? The Pakistan Tehreek Insaaf (PTI) party swept into power in July 2018 with a campaign fueled by a hope for change. One promise was to create a new South Punjab province, splitting the current province of Punjab into two administrative blocks. In October, Foreign Minister Shah Mehmood Qureshi re-highlighted the PTI’s commitment to this pledge. The need for a separate province and support for its creation have reasons that span back decades. Understanding the ‘South Punjab movement’ requires acknowledging Pakistan’s history of powerful centralized governments, the ethno-linguistic divide within Punjab, and administrative headaches and political agendas associated to the province. Since independence from the British in 1947, Pakistan has frequently favoured a stronger centralized government over increased provincial autonomy. One such example was the ‘One Unit System‘ whereby all provinces in the western half of Pakistan prior to the independence of Bangladesh were consolidated into one solitary province to prevent preferential treatment. For many in a culturally diverse nation the idea of handing power to leaders hundreds of miles away was unacceptable, particularly to smaller provinces. Although ending provincial prejudices was one of the objectives of the new system, it merely broadened the gap. The One Unit system gave rise to ethnic politics movements: the move was a principle cause of the unrest that led to martial law in 1958 when General Ayub Khan set a precedent of military rule that has lingered throughout Pakistan’s history. Only in 1970 was the system reversed and additional provinces created. Such political miscalculations sowed the seeds of mistrust between many ethnic groups. Demands for self governance at a local or regional level have sparked secessionist campaigns. Although most calls for South Punjab involve staying within Pakistan, the disgruntlement with governance is a commonality between these campaigns. Punjab is home to 110 million of Pakistan’s roughly 200 million population. The importance of this region has led to a lopsided policy in terms of resource allocation, to the disdain of other provinces. Electorally speaking, the province of Punjab functions as the kingmaker in Pakistani politics. Pakistan functions as a parliamentary government with a first-past-the-post system. The 342 seat National Assembly consists of 183 seats based in Punjab – more than half the total amount. Additionally, there is a force in the shadows that props up Punjab’s relevance: the Pakistani military has both explicitly and discreetly guided the political trajectory of the country throughout its history. The military headquarters are in Northern Punjab, and it maintains most of its forces in the province. This reinforcement of military presence in Punjab has heightened the value of the province in eyes of Pakistani elites. 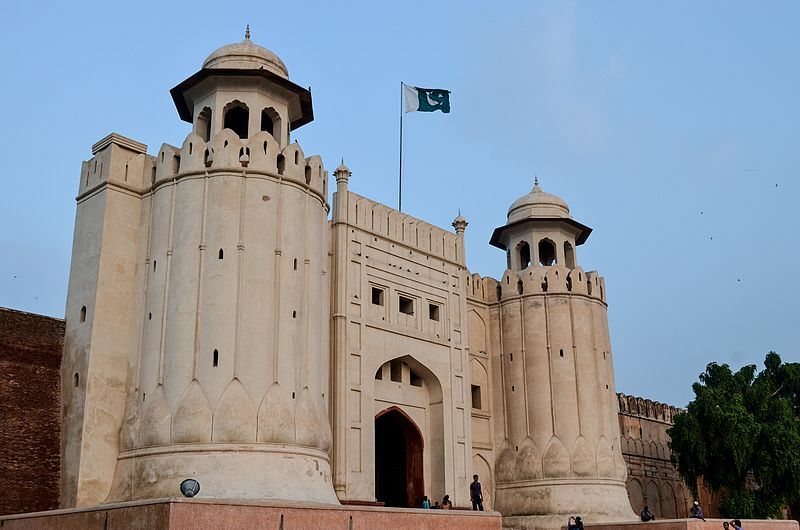 The capital of Punjab, Lahore, is a relatively well planned bustling urban city, in central Punjab home to over 11 million. The city boasts multi billion dollar infrastructural projects and developmental schemes. To put forward this Punjab-centric governing doctrine as though Punjab is treated as a critical unit homogeneously would be misleading. The Southern parts of Punjab by contrast with the rest of Punjab are some of the poorest in the entire country and see little of the aforementioned developments to be found in Central and Norther parts of the province. South Punjab is categorized by poverty. Of 40 million people living below the poverty line in Pakistan, an estimated 10 million are in Southern Punjab. Poverty levels are between 48 and 64 percent in the poorest four districts – far above the average for Punjab. The social structure of South Punjab is effected by feudalism. Feudal landlords hold influence at the helm of agricultural or industrial production. The landlords sustain a system of essentially slavery by creating dependencies for peasants who become subservient to the system. The peasants and tenants vote en masse for the landlord in elections. These landlords are called “electables” due to their successful electoral record and the only equation that changes is their party allegiance. This cements a hierarchy of power that runs opposite to democratic values. Religious leaders and feudal lords compliment each other to sustain a nexus of power for mutual gain and improvement in the standard of living for those under them is a threat to their interests. Independent Analyst Shaukat Qadir says the military also plays a key role in benefiting from feudalism. One of the benefits army officers get for their service is agricultural land which is often rented to landowners. The army taps into the feudal system to get the resources it needs and the feudal system is indirectly fostered. Landlords are beneficiaries of a broken system that exploits the poor and empowers the rich. Consequently, their desire to do away with this [system] is very limited, and their primitive ‎beliefs of dominance, such as suppression of women, continue to exist. The socioeconomic Punjab divide aside, a cultural divide has existed for centuries. Although the regional language of Punjabi is synonymous with Punjab, Seraiki is the mother tongue for most in the Southern half of Punjab – 20 million people. Historically, the “Seraiki belt” comprising of Southern Punjab had cultural similarities with what is now the Southern province of Sindh. The Northern and Central parts of modern day Punjab on the other hand were more connected culturally to what is now modern-day Northern India. The Seraiki movement emerged in the 1960s as a response to the One Unit System. The movement gained prominence in 1975 when scholars organised the first Seraiki literary conference. In the 1980s Seraiki activism launched as a political movement. Parties such as the Pakistan Seraiki Party mobilized support for a separate province. The headache of administering a province with the population of Punjab is apparent. Much of the lopsided investment that has been filtered to other parts of the province happens under the broad facade of the Punjab budget. By only having one provincial unit the transparency in distribution of funds becomes blurred. Many believe a new province can provide a transparent flow of resources and an elected body free from the interests of Lahore and other sections of Punjab. In April 2018 a group lawmakers from the former ruling Pakistan Muslim League Nawaz (PMLN) party left to create the “Junoobi Punjab Sooba Mahaz ” or JPSM. They voiced disappointment with the Government’s lack of progress in South Punjab and demanded a separate province. The JPSM merged into the PTI in May 2018 after the latter promised to forge South Punjab. Poverty is the biggest issue of the Southerners since flow of money is from the south to the north in the province. Lahorites have been given Metro Bus and Orange Train along with many bridges, roads and underpasses while people in the south are without such facilities. Calls for a new province have been politicized by both previous administrations. The Pakistan People’s Party managed to pass a bill for a Seraiki province from the Senate but nothing materialized. Using landlords with reliable vote banks, parties win seats through promises of a new state. The past two administrations failed to deliver their promise and the current administration is not on track for better. The PTI’s 100 day plan vowed to create South Punjab with a hundred days of their reign. There is little progress over half a year into their tenure but the merits of a new province remain open to interpretation. Creating South Punjab by dividing Punjab would bright greater provincial balance to the playing field. What was once the electoral kingmaker would become one of many pawns on the chessboard. Administrative reshuffling would allow for governance to occur closer to the common man. Boundaries alone however will fail to alleviate the problems facing South Punjab. For changes to manifest themselves the local governments will need to be empowered with resources. Maintaining the state of governance on a narrower scale in a smaller province is otherwise likely to achieve limited results. One roadblock to governance is feudalism. A feudal landlord with leverage over his impoverished tenants is capable of sustaining his political position without an electoral check and balance to enforce accountability. Landlords also leverage influence to install nepotistic selections for positions to maintain family interests. These variables are independent from administrative reshuffling and investment in human development is required to break the feudal cycle. The process to create a new province is outlined in Article 239 of the Constitution. Changes to the boundaries of federating units require an amendment with a two-thirds majority in the National Assembly, the Senate and the Provincial Assembly of the concerned unit – in this case Punjab. Additionally, there is a request by the opposition PMLN party to create two provinces out of Southern Punjab – one province of Bahawalpur as it existed before the One Unit System, and the remainder of Southern Punjab as South Punjab. The PTI however has only committed to creating one province. The PTI’s pledge of creating a new province poses political concerns due to the Punjab electoral map. The PTI maintains a coalition government in the Punjab assembly. The merging of the JPSM into PTI has ensured that the PTI is likely to hold a majority in a South Punjab province. However, in the Northern part of the province the PTI would have to narrowly surrender the most prosperous and influential portions of the country to the PMLN. Similar past concerns or desires to maintain control over a large undivided province of influence have managed to block the South Punjab movement. It remains to be seen how much the PTI is willing sacrifice politically to keep a flagship electoral promise. A new province of South Punjab would be a step in the right direction to address provincial administrative imbalances. However, the corrupt feudal system in the South will continue to hamstring the development of the region. Developmental efforts to raise the standards of living to bolster the middle class are required to ensure local governance is accountable and efficient. Past and present administrations have pondered the risk-reward ratio of a new province but sooner rather than later – someone will have to bite the bullet. Muhammad Huzaifa Elahi is a U3 Software Engineering student. Originally from Pakistan, he has a deep interest in South Asian and North American politics, and history. If he's not writing articles or studying, it's a safe bet he's having poutine.